El Anatsui, AG+ BA (detail), 2014. Aluminium, copper wire and nylon string. Dimensions variable. Photo: Jonathan Greet. Image courtesy October Gallery. 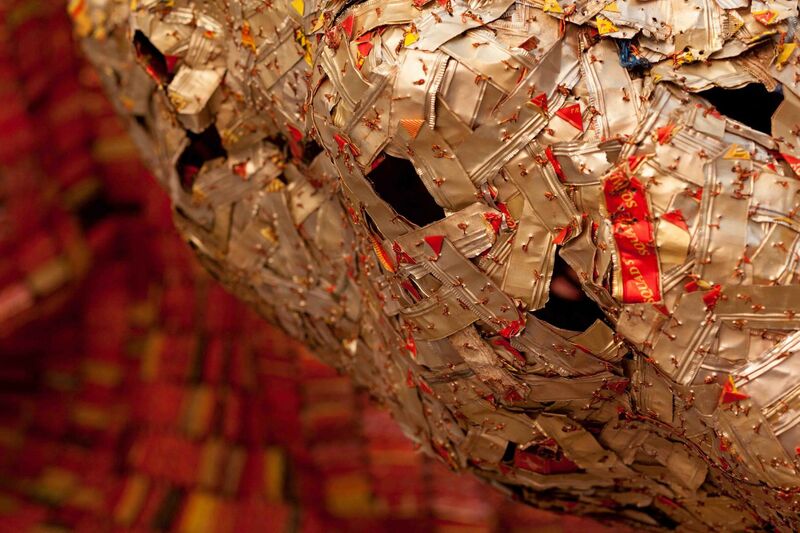 October Gallery will present a selection of works in metal by celebrated artist El Anatsui. 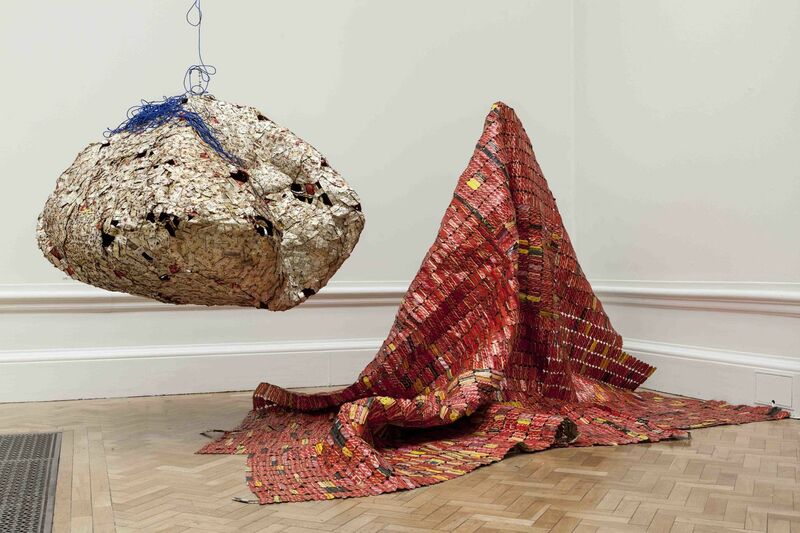 El Anatsui’s sculptural experiments with media and form have challenged the definition of sculpture itself. 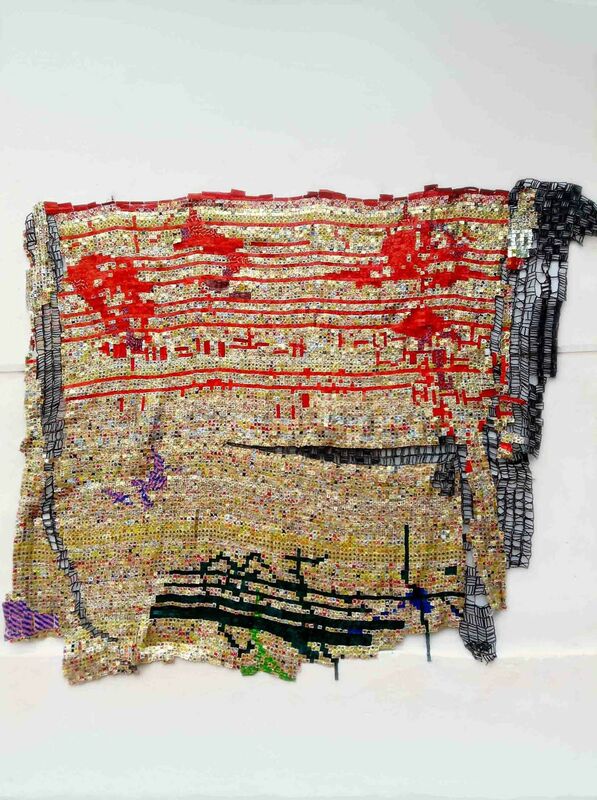 In particular, his metal wall-hangings have received international acclaim. Throughout a distinguished forty-year career as both an artist and teacher, El Anatsui has addressed a wide range of social, political and historical concerns and embraced an equally diverse range of media and processes. 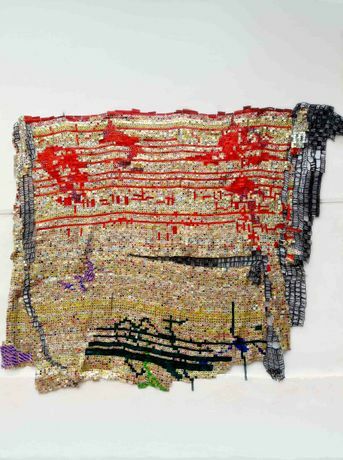 In 2013, one of his largest metal wall-hangings to utilize his bottle-top technique, TSIATSIA – searching for connection, adorned the façade of Burlington House. 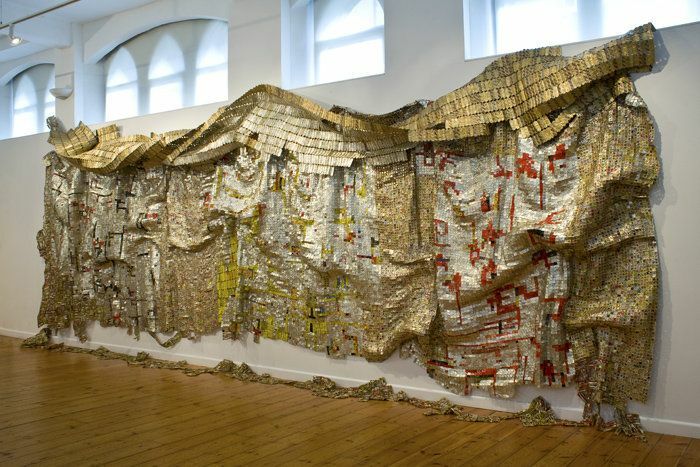 Created to coincide with the Royal Academy of Arts Summer Exhibition 2013, this remarkable work won the prestigious Charles Wollaston Award.